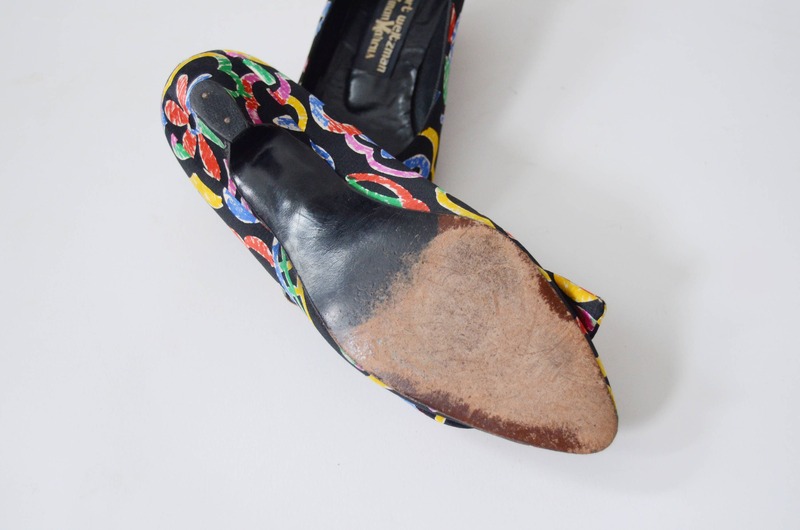 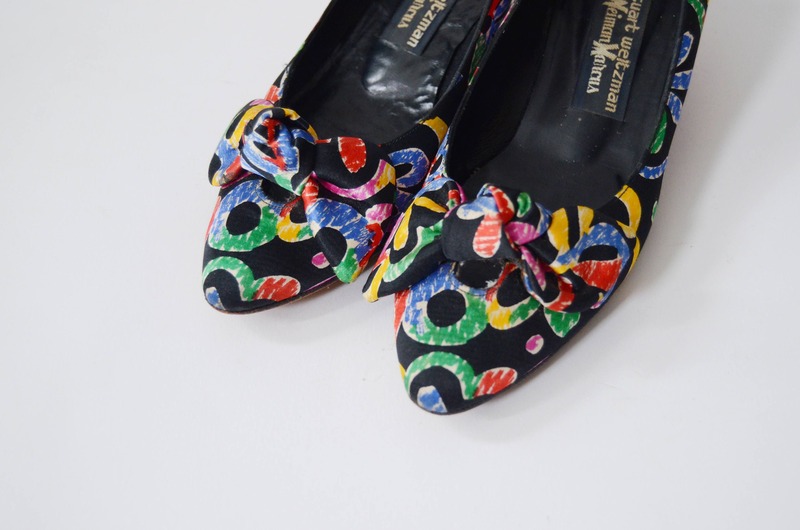 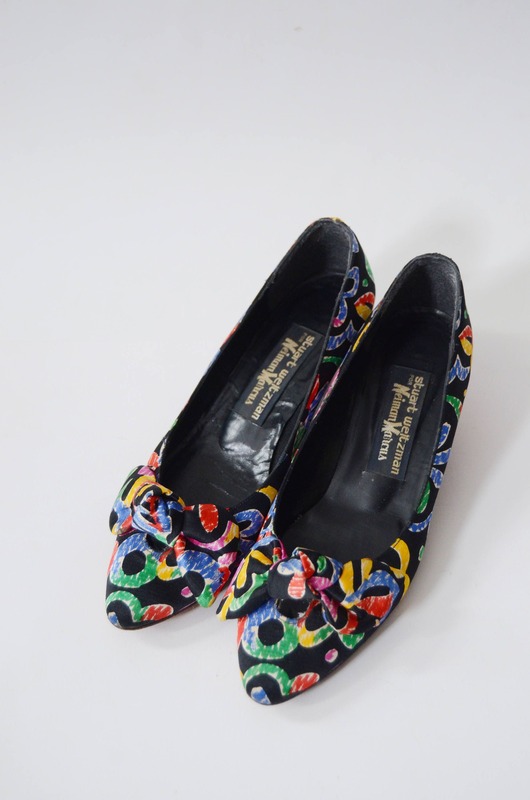 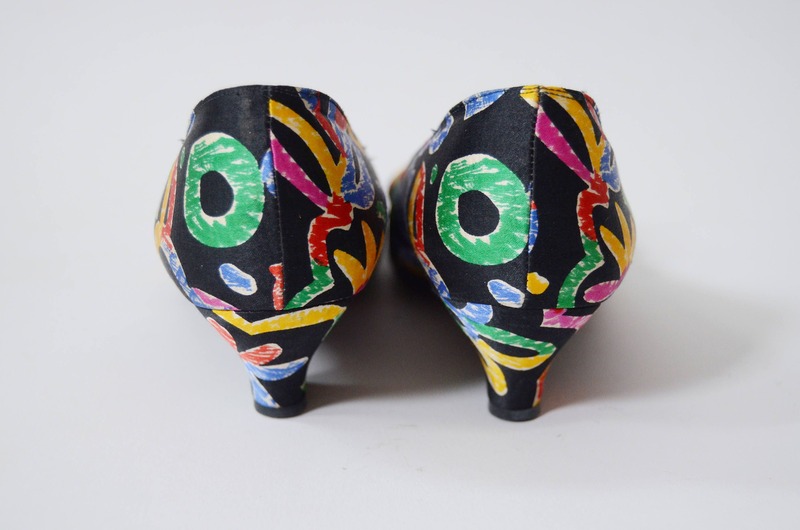 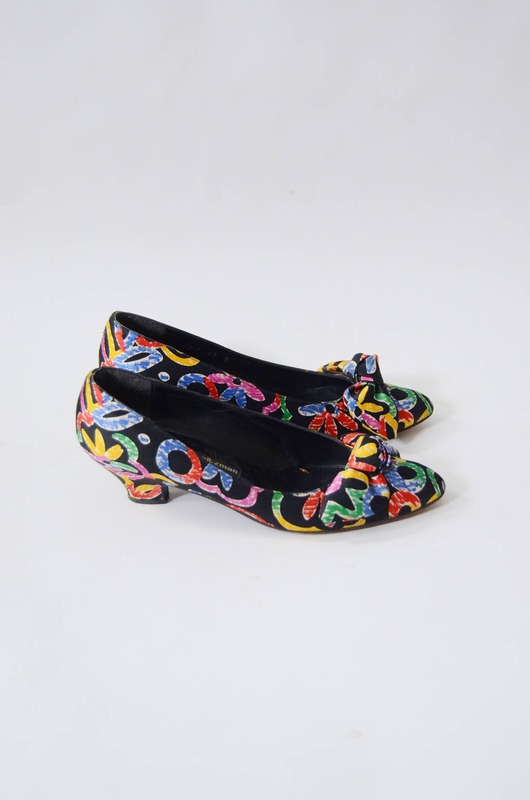 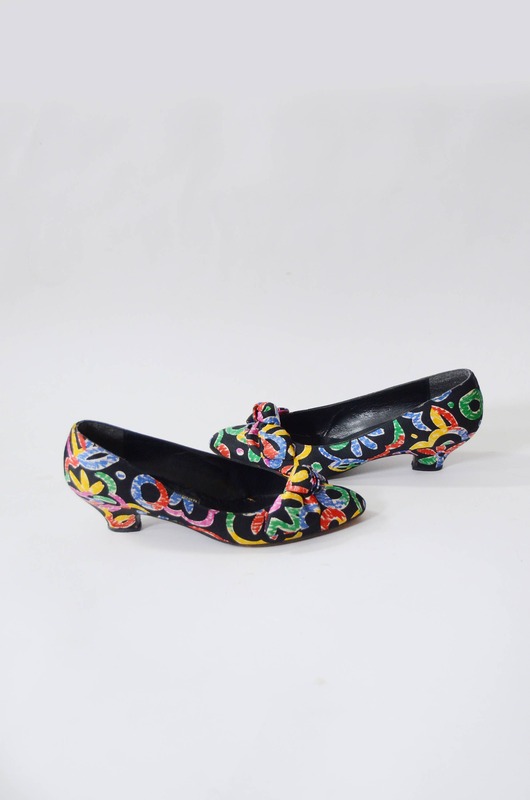 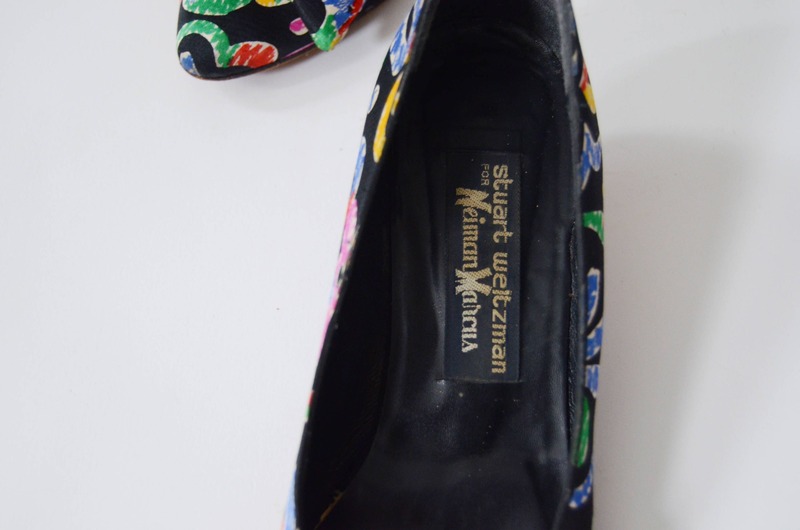 Description: Darling black low heels with a vibrant 80s pattern. 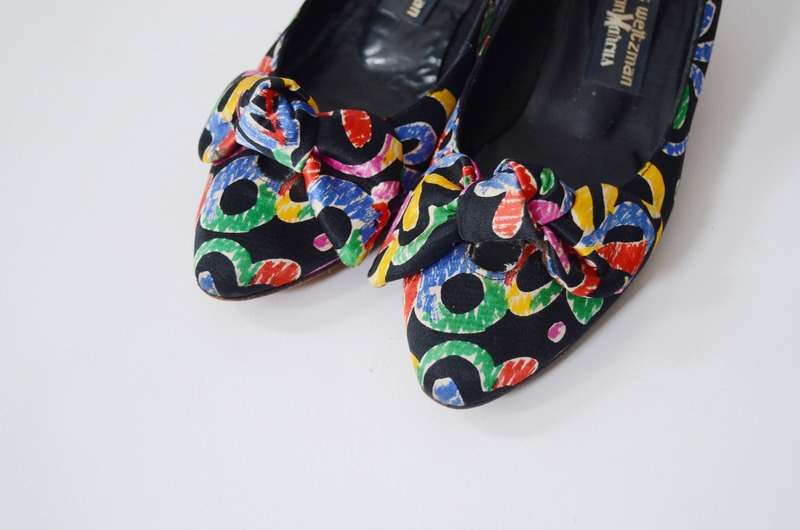 Bow on the toe. 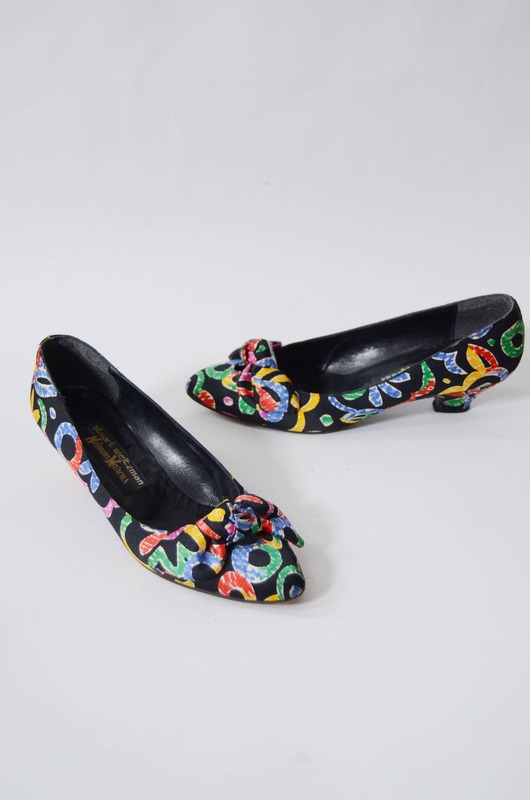 You must compare the measurements of these shoe to your own, or a shoe that fits, to ensure these will work for you, the stamped size is just an estimate and not sufficient when buying vintage shoes.